The time has come once again for readers around the globe to dedicate 24 hours to whittling down their ever-growing piles of books. After the first time I participated in October of 2009, Dewey’s 24 hour readathon quickly became one of my favorite events, and unlike holidays, we get to do it TWICE a year! Pretty awesome. The last two readathons, I have used comments and pages read and time not reading to tally up a donation to The Jimmy Fund in memory of my grandmother, an avid Red Sox fan. I’m doing two things differently this time around. One, the amounts of the last two were so close, and the amount of time I spent encouraging engagement and tallying numbers so great, that instead of doing all of that I’m going to donate a flat amount of $125, the rounded-up total from each of the last two. And two, this April’s donation will be given in memory of a patient from one of the practices where I have worked, who passed earlier this year. For privacy reasons I can’t disclose more than that, but the organization was one for which she volunteered for many years. I have an overly-ambitious stack of physical books and an even more ridiculous number of ebook pages lined up for tomorrow’s festivities. Before I sleep I’ll pick out three top contenders for first read, which I like to be something I can breeze through to get that sense of accomplishment early on. Other than that, I just need to set the coffeemaker and get a few food items cut/portioned so they’re easy to grab ‘n’ go. Looking forward to connecting with the usual suspects, and meeting some new bookish friends. 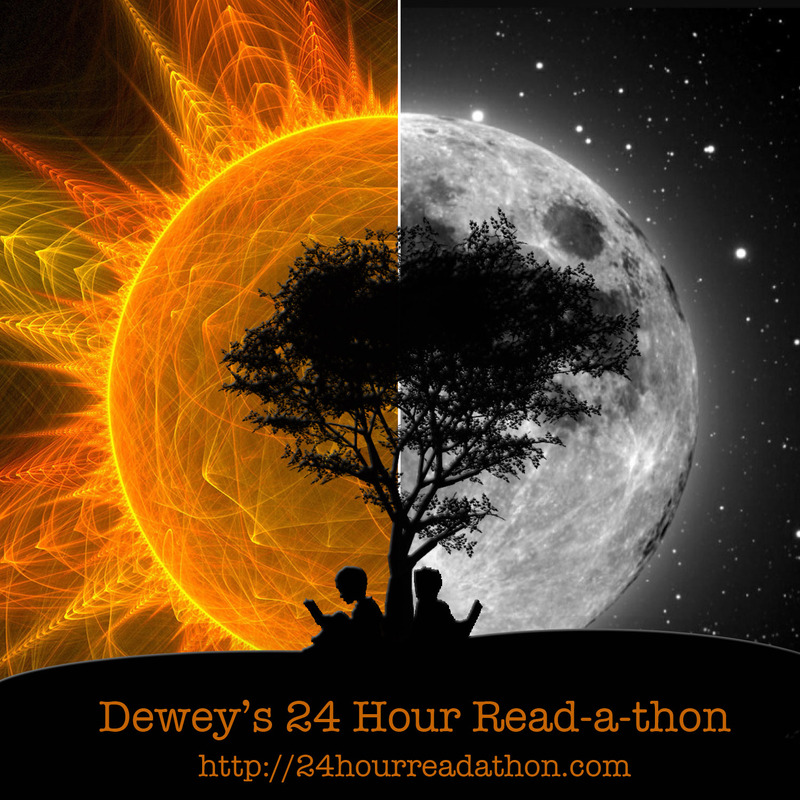 Happy readathon, everyone!